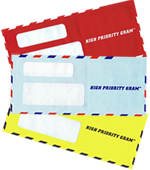 Please contact us today to help you plan your next direct mail effort. In fact, if you are in Northern Virginia, please stop by to tour our facility strategically located 5 miles from the Dulles Bulk Mail Entry Unit. We’d love to meet you and better understand how we might partner our businesses.